From October 1st to 31st it's possible to try the best snack (or 'petisco' as it is called in Sao Paulo) of the main restaurants of São Paulo. 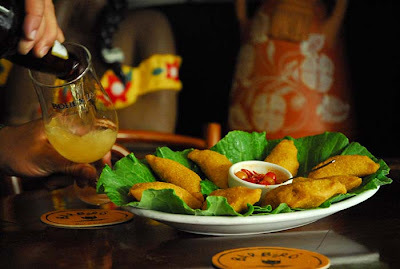 This sixth edition of Boteco Bohemia features the best place to have a beer and snack. The event gives the public the chance to choose the best one in town. During 31 days, people can vote among the preselected dishes of 31 different restaurants. To select the 31 competitors, the Liga Gastronômica (Gastronomic League is a team composed by Cuisine Chefs) evaluated snacks inscribed by the applicant bars according to the Presentation (visual and design), Creativity (ingredients used and originality of the recipe) and Taste & Technique (harmony of spices, ingredients and execution). The novelty this year is the fact that each restaurant has to offer alive sound to the clients. 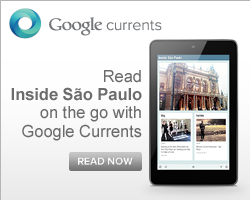 Among the options, it's possible to find groups of samba, jazz and bossa nova. Among the 31 establishments are: Mercearia São Roque, Salve Jorge, São Benedito, The Joy, Veríssimo e Jacaré Grill. See all of them at the end. This competition is open for everyone that wants to vote on the best Snack. To be part of the Boteco Bohemia competition is really easy. It's just go to anyone of the subscribed bars, grab a snack with one hand and a cold beer with the other one. After that, find out a specific box to place your vote for the best: service, snack, serving beer ritual and also for the best waiter. The first three places on each category are elected by popular vote and by gastronomy experts. The best scored restaurants will be selected to the great final and the winner will be announced during the 'Festival Saideira' (Last one Festival) on November 7th and 8th. During the festival, that is gonna happen at Espaço Moinho, Brazilian artists will be playing songs that make understandable the real concept of having a beer and a 'Petisco' inside an authentic Brazilian 'Boteco'. It's unmissable! When: From October 1st to 31st. How much: Its up to you.